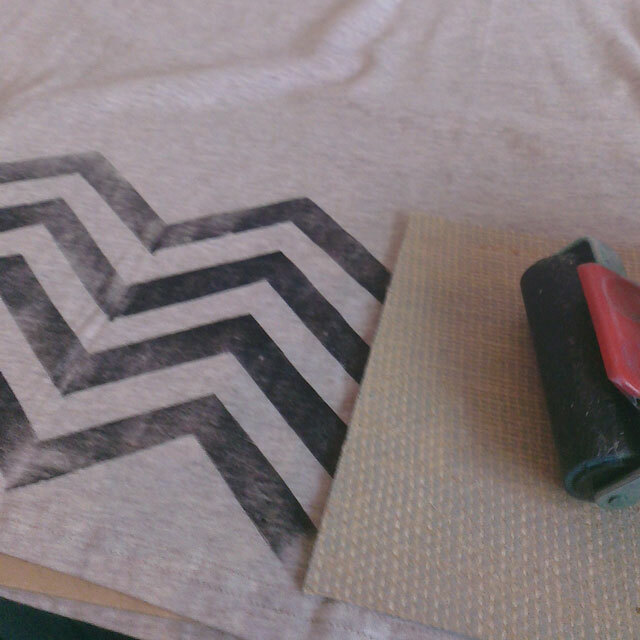 I’ve been meaning to experiment with printing on a t-shirt for some time now, and I’ve finally got round to it! I found some ink online called Speedball Fabric Block Printing Ink so it seemed like the perfect opportunity to give it a try. 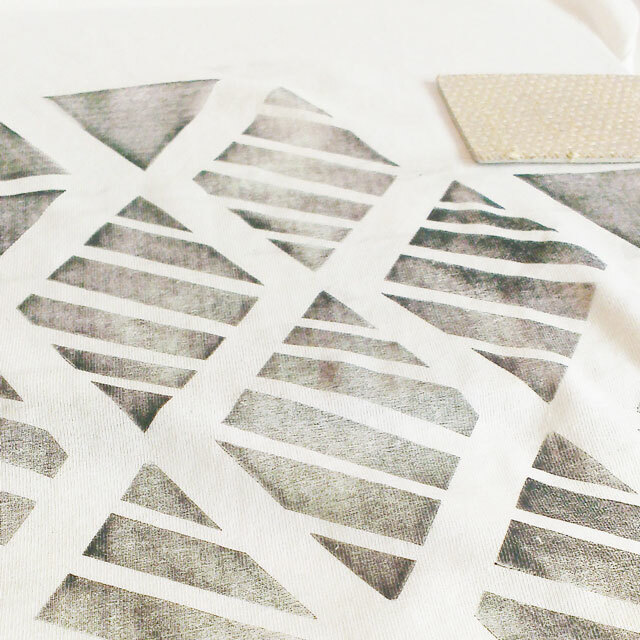 I’ve also seen lots of fabrics on the high street with a black and white pattern in a handprinted style lately and figured it would be more fun to make my own! 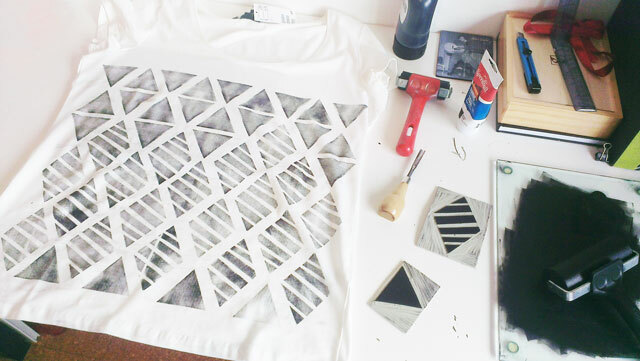 First you need to decide on your design, I went for a simple geometric diamond shape for my first t-shirt. 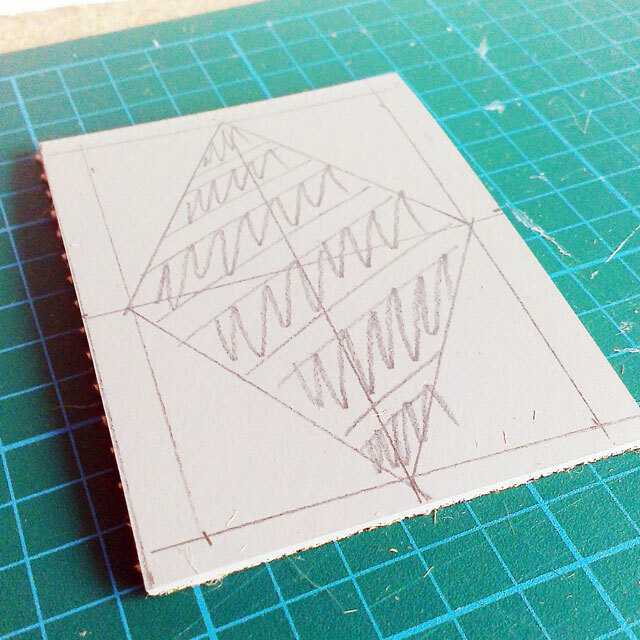 Mark it out on the lino and cut out using the craft knife and tools. Once done you’re ready to roll! 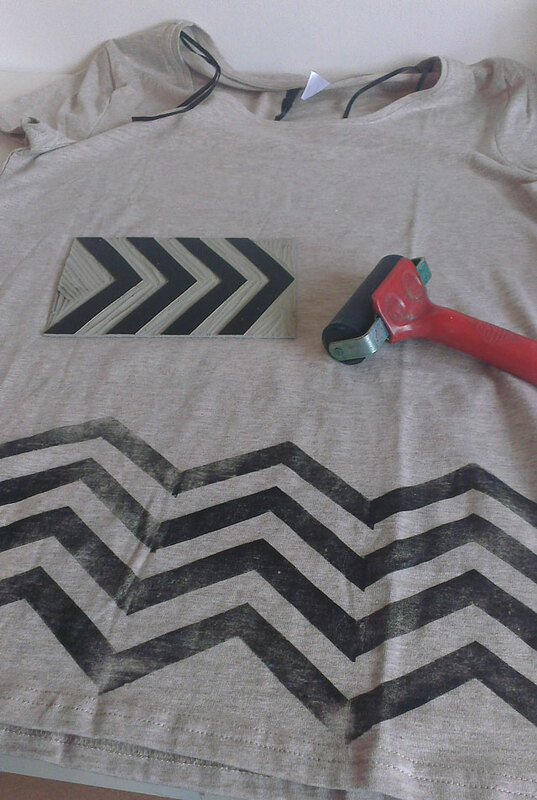 Lay your t-shirt out with the piece of thick cardboard inside, this will make sure the ink doesn’t go all the way through to the back of the t-shirt. 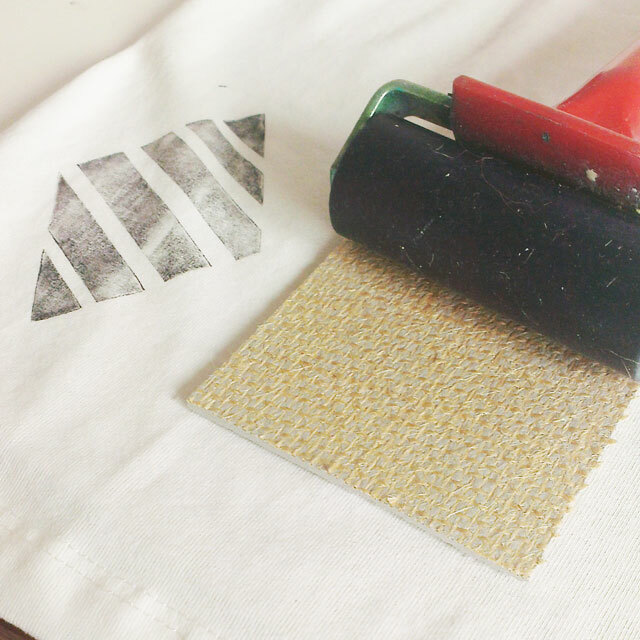 Squige the ink on to your tray and use roller number 1 to apply an even layer of the ink to your lino. Place this face side down on the t-shirt and use your second roller to apply pressure to the back. Carefully remove the lino. 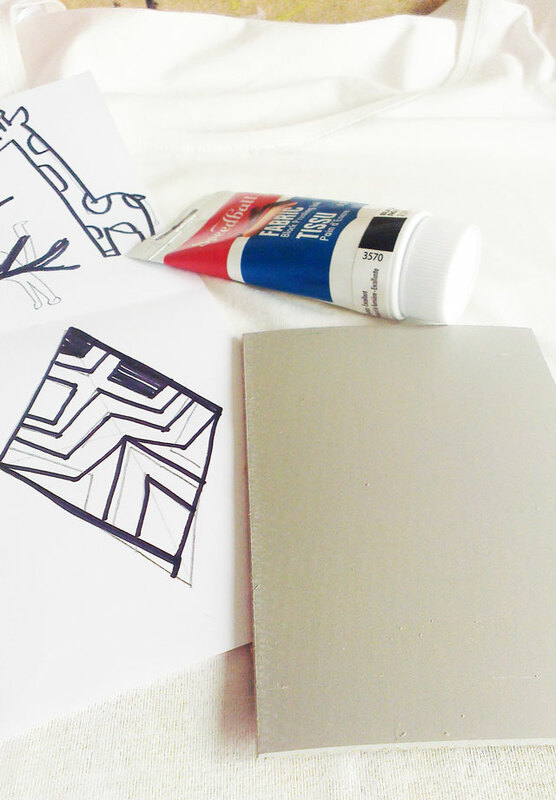 I went fairly free-style here, I had a general idea of what I wanted to do and marked it roughly with masking tape. You may want to be more thorough, in which case you can use a fabric marking pencil that will wash out. 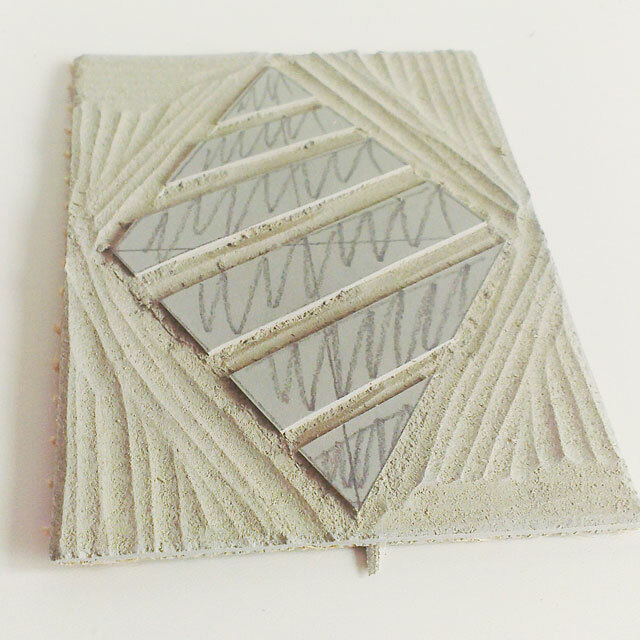 Keep building your pattern up until you are happy with the design. 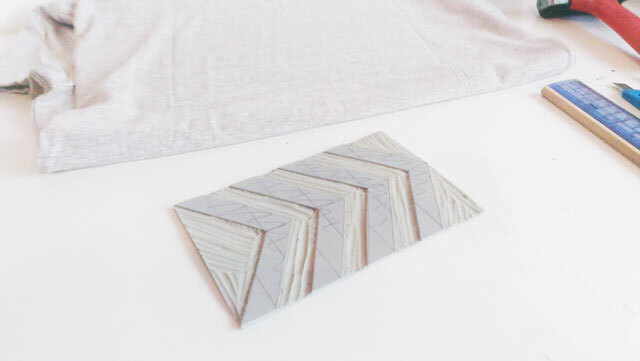 I introduced a second triangular shape to the top of the pattern to break it up a bit. And you’re done! According to the ink instructions the t-shirts need to dry at room temperature for one week before you can wash them at a low temperature with mild soap, so you’ll have to get used to a little wait before you can wear them. 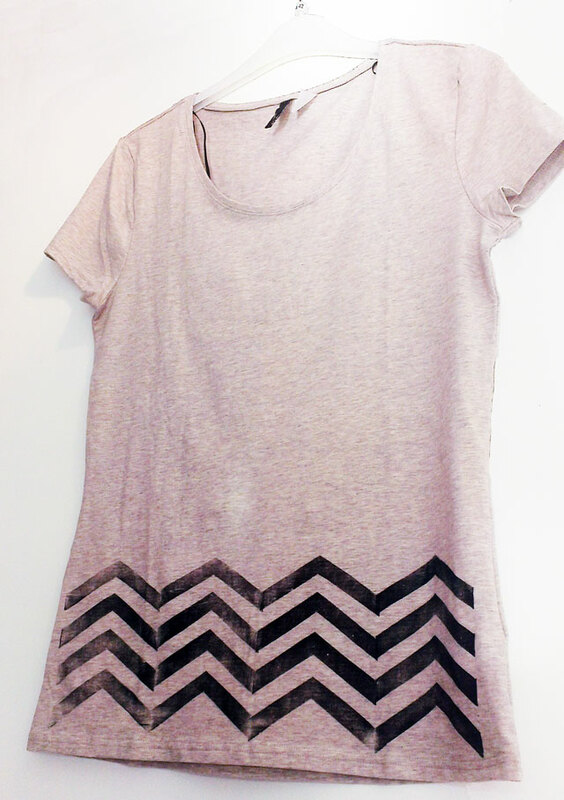 I had lots of fun making this printed tees, hope you do too if you try it!